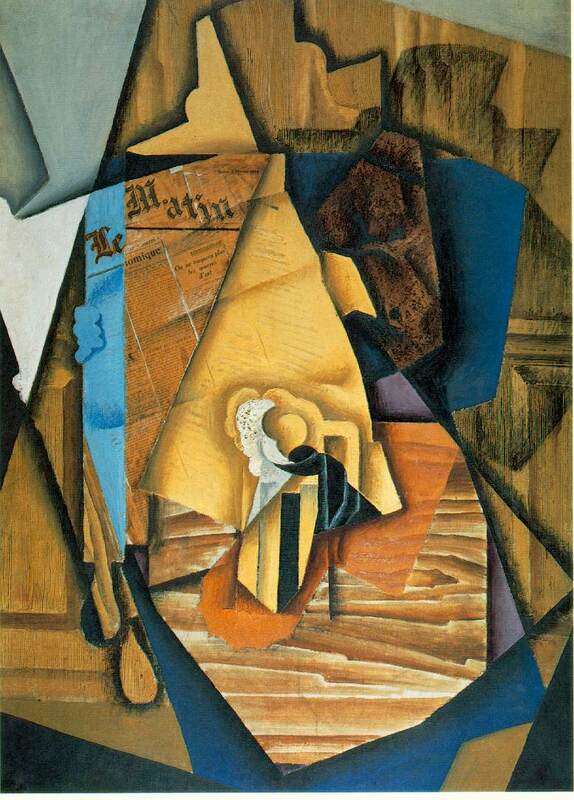 Juan Gris was the Third Musketeer of Cubism, and actually pushed Cubism further to its logical conclusion until his ultimely death in 1927 at the age of 39. His pictures are a joy to look at! 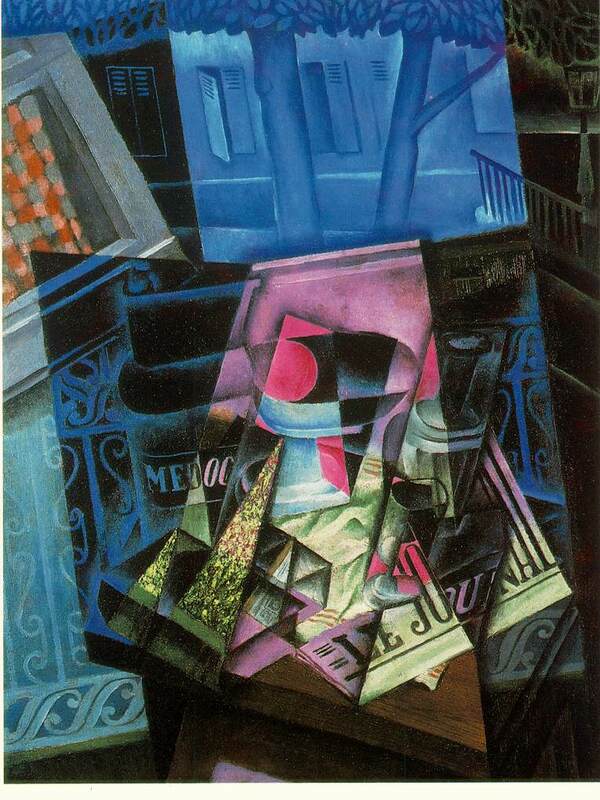 The Spanish artist Juan Gris, b. Mar. 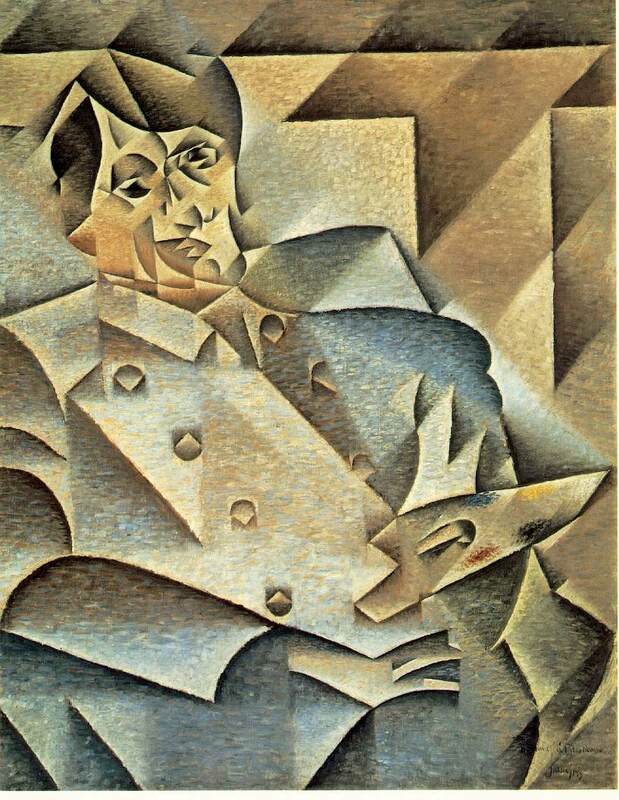 13, 1887, d. May 11, 1927, was, with Pablo Picasso and Georges Braque, one of the first and greatest exponents of the cubist idiom in painting. 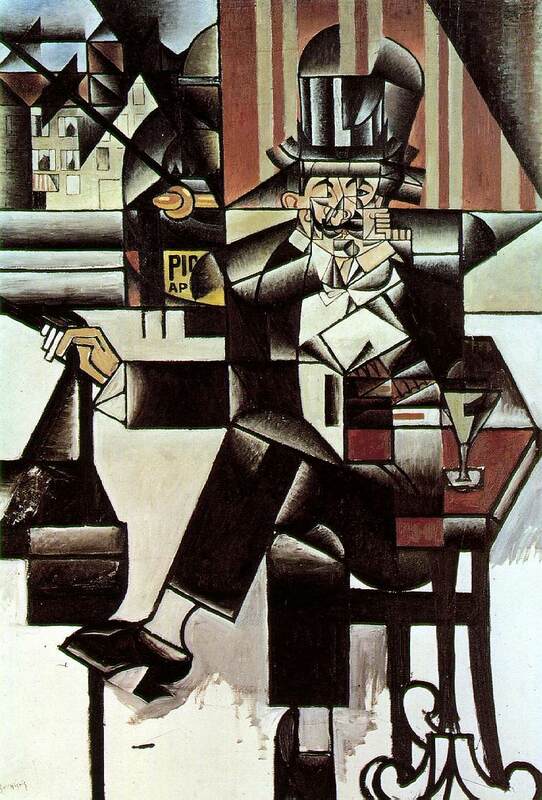 Originally named Jose Victoriano Gonzalez, he adopted the pseudonym by which he is known after moving (1906) to Paris, where he lived as Picasso's friend and neighbor. 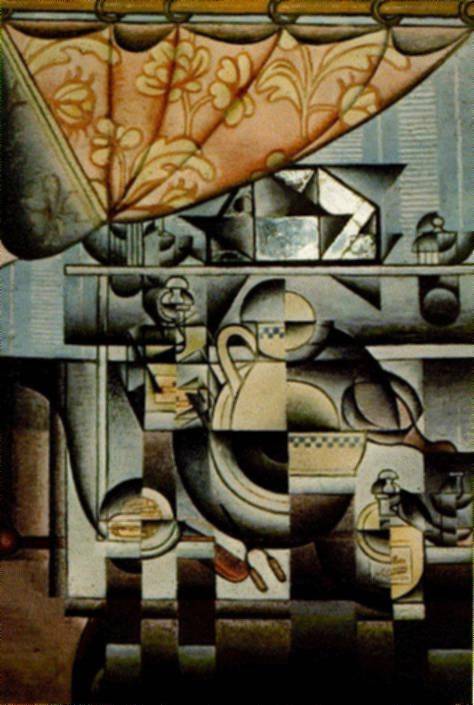 Between 1907 and 1912 he watched closely the development of the cubist style and in 1912 exhibited his Homage to Picasso (collection of Mrs. and Mrs. Leigh Block, Chicago), which established his reputation as a painter of the first rank. 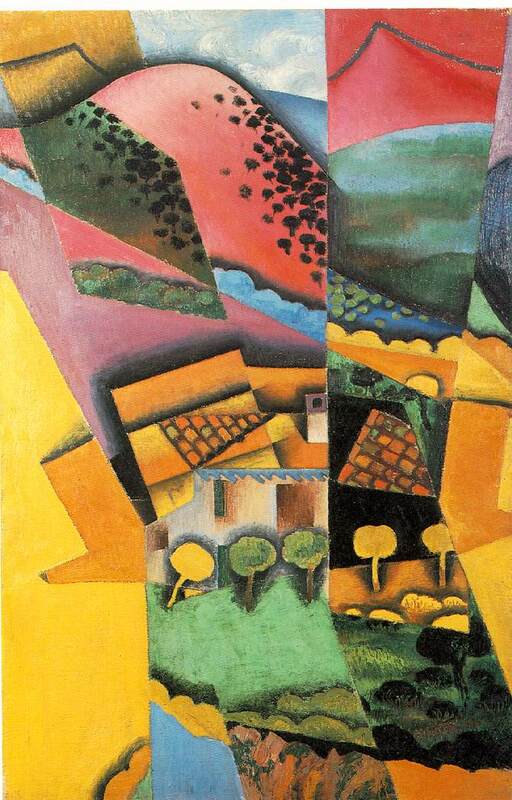 He worked closely with Picasso and Braque until the outbreak of World War I, adapting what had been their intuitively generated innovations to his own methodical temperament. In the 1920s, Gris designed costumes and scenery for Serge DIAGHILEV's Ballets Russes. 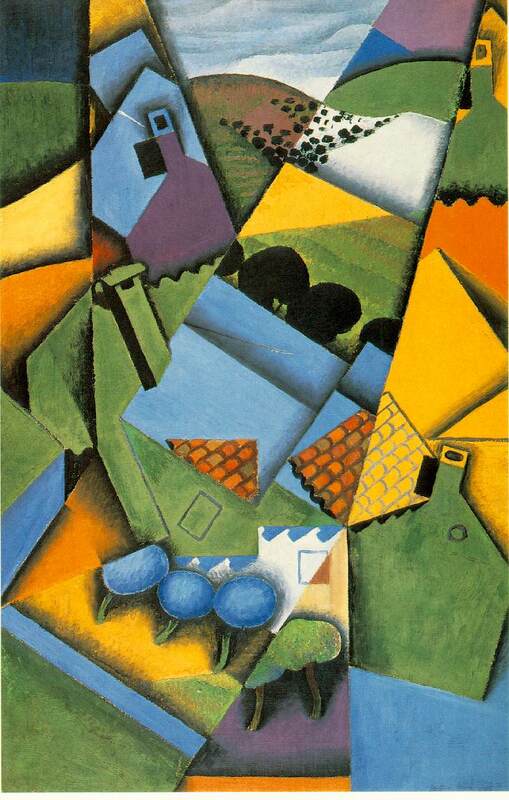 He also completed some of the boldest and most mature statements of his cubist style, with landscape-still lifes that compress interiors and exteriors into synthetic cubist compositions, such as Le Canigou (1921; Albright-Knox Art Gallery, Buffalo, N.Y.), and figure paintings, especially the fine series of clowns that includes Two Pierrots (1922; collection of Mr. and Mrs. Harold Hecht, Beverly Hills, Calif.).